cotton. 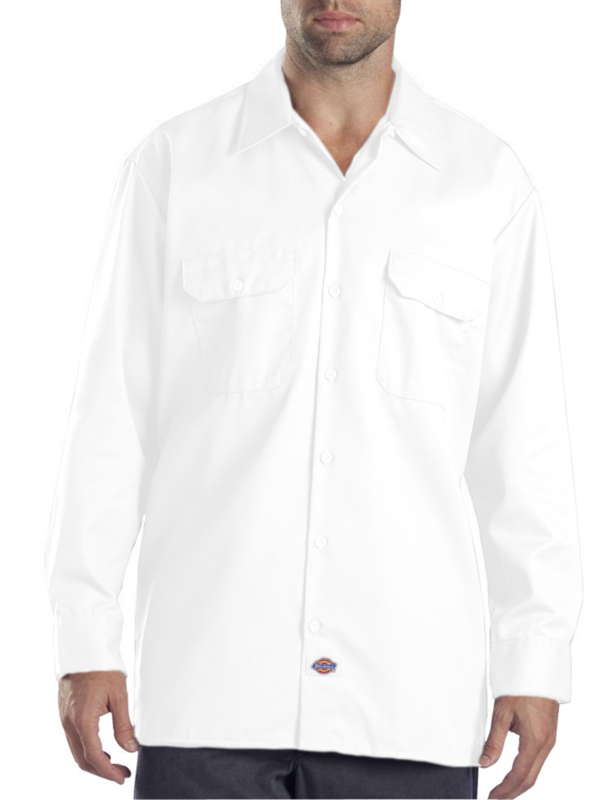 Style Ships From Ft.
Dickies Adult 5.25 Ounce Long Sleeve Work Shirt. Stain release. Moisture wicking. Dyed to match buttons. Mitered front flap pockets with pencil division on left pocket. Generous fit across shoulder. Colors match our traditional work pants. 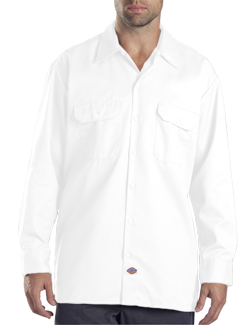 5.25 ounce twill, 65% polyester/35% cotton. Sizes: S-2XL. Colors: Black, Charcoal, Khaki, Navy, Silver. Style Ships From Ft. Worth, TX.